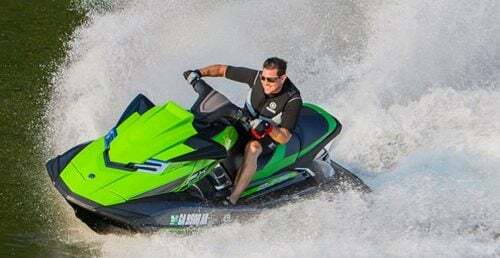 This week marks the beginning of the International Jet Sports Boating Association (IJSBA) World Finals, the annual event held in Lake Havasu City, Ariz. that has brought together the best personal watercraft racers since the early ‘80s. Yes, that’s right. 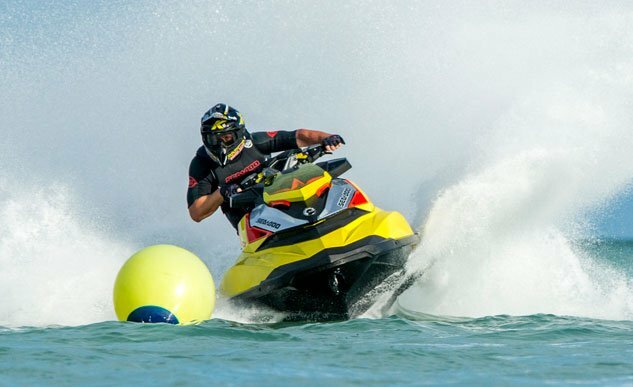 PWC racers from all over the world have duked it out on these same Colorado River waters since the early standup days, slashing around the buoys in search of those coveted world titles. One thing they all have had in common? They all can carve a really nice buoy turn. It’s a must to win a race. 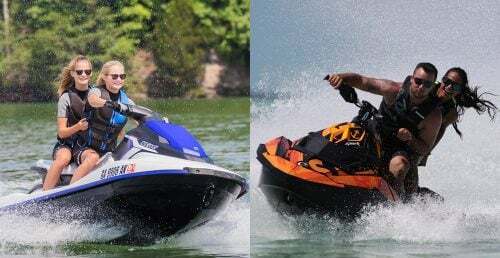 And while you may think riding like a pro is beyond your reach – or maybe even pointless – carving a buoy-style turn is a skill that can improve the riding of any recreational enthusiast, and one that, once learned, will make you that much more stylish and effective of a rider. You don’t have to be a professional racer to carve a corner like one. 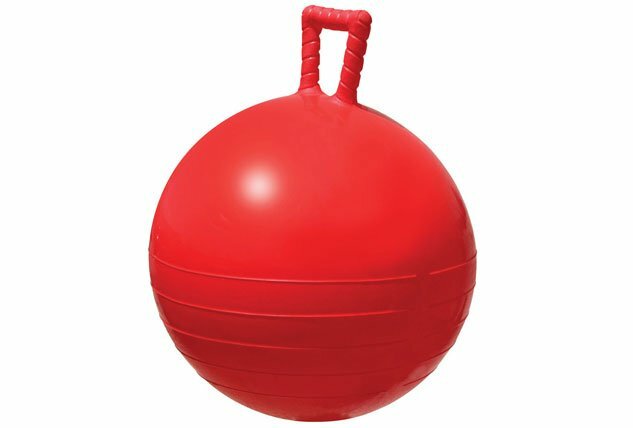 You can pick up a simple buoy like this from Sportsstuff.com for about $20. If you don’t feel like being bothered with any of the above, just find a buoy out on the water that you won’t damage. Just remember, you may hit it during practice. If you ruin it you’re responsible, and if it ruins you…or your boat…don’t expect to get any sympathy. For those reasons and more, never use swim area or navigation markers. You’ll also want to avoid pilings, for obvious reasons. 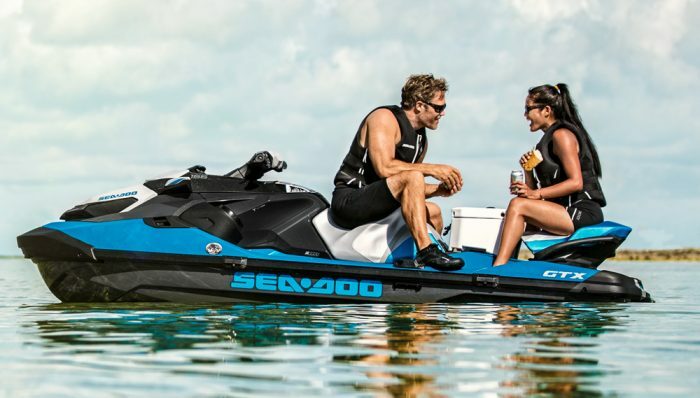 With your buoy in place, take aim and crank out a few of your best turns, then take note of the results. One thing you will probably notice immediately is that it’s actually pretty hard to turn right at a buoy. 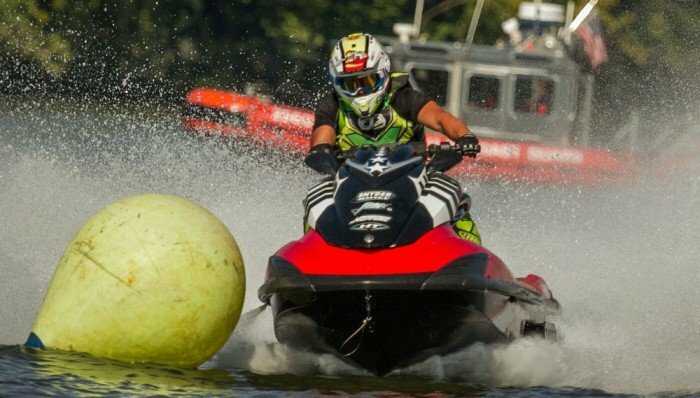 Sure, you may start your turn adjacent to the ball, but your exit will probably be much farther away as your boat moves through the water. This is the reason that pros know to start their turn early. 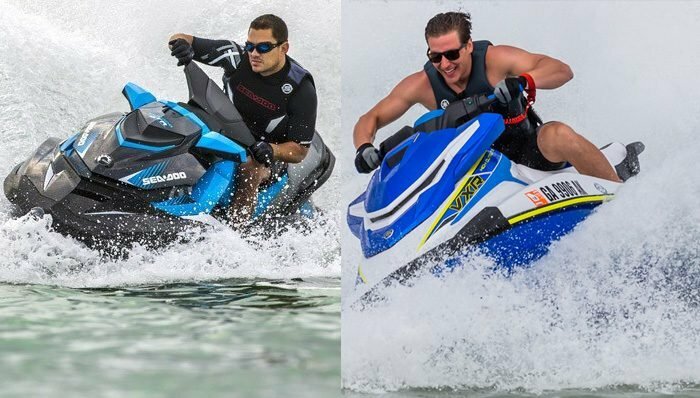 Get a feel for how much your PWC skids, slides, or just how much time it takes to react as you attempt your initial turns, and watch how far your craft drifts in the process. Then use that knowledge to adjust your reaction time accordingly. 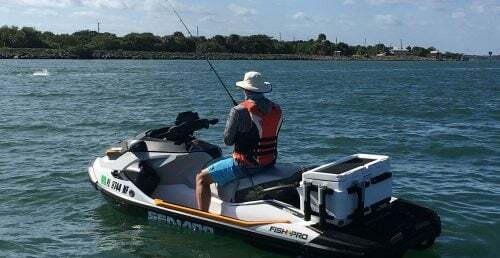 Best results will usually be found by approaching the buoy wide, turning early, and then having your turn actually “finish” adjacent to the buoy so that you’re heading straight into the next turn. On a real buoy course, turning like this keeps you in the best possible position setting up for the next buoy, real or imagined, as it prevents you from drifting down course. 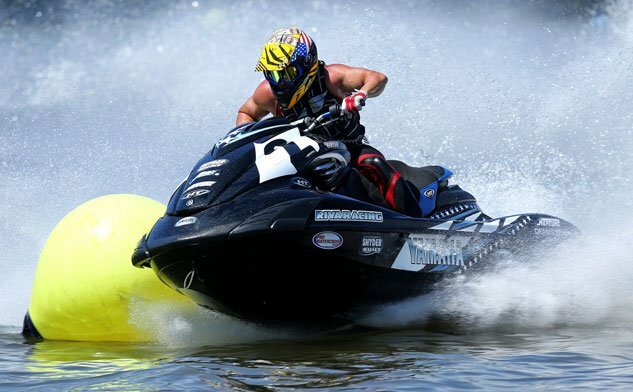 Professional PWC racer Troy Snyder shows how to carve around a corner on a buoy course. Most of today’s PWC feature an intuitive inside lean, making them much easier to negotiate in the corners, but they still all have their own style…and quirks. 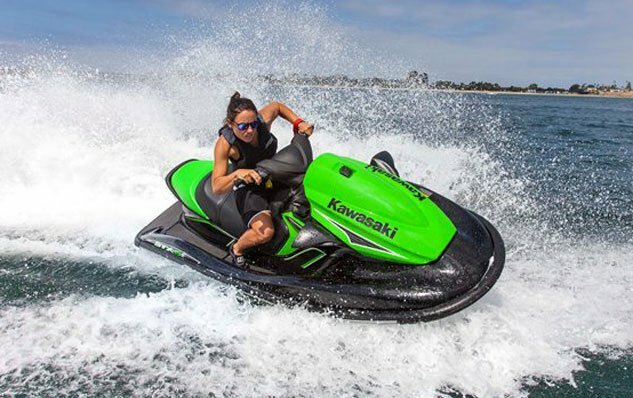 Get used to your craft, and learn just how far you can lean it over, whether or not you need to plant a foot toward the rear of the outside footwell to keep the stern locked in, and just how much speed you can carry into the turns without fear or ejection from the seat. Don’t try to do it all with your upper body; it’s one of the weaker parts of the system. Instead, try to brace with your stronger leg muscles, squeezing them in against the saddle, and/or bracing an outside foot against the edge of the footwell for leverage. 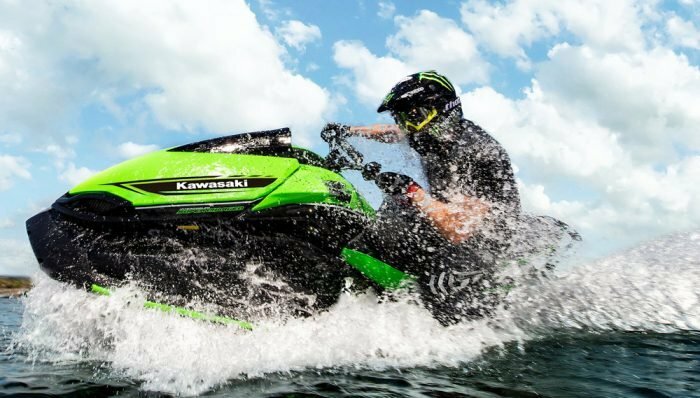 You may also want to try a method that works for many craft – chopping (or briefly letting off) the throttle for a fraction of a second before you enter the turn to put more of the bow in the water, dropping your inside shoulder to position yourself aggressively, and then rolling the throttle back on to power through and exit. 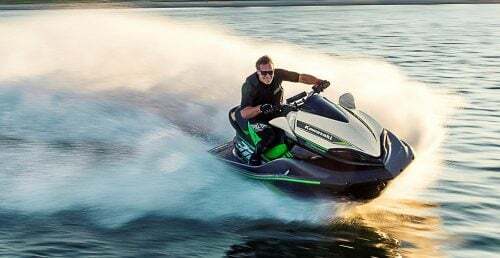 Chopping the throttle before entering a turn will put more of your craft’s bow in the water. If your craft has trim, make use of it to accomplish some of the above. While it may seem like you could drop the bow before the turn, and then raise it upon exiting, in practice that’s a lot to do in a relatively short amount of time. 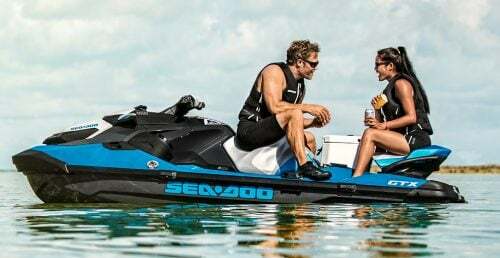 Play with your trim to find the setting that gives your boat the best handling, and then keep it there for short, quick turns. 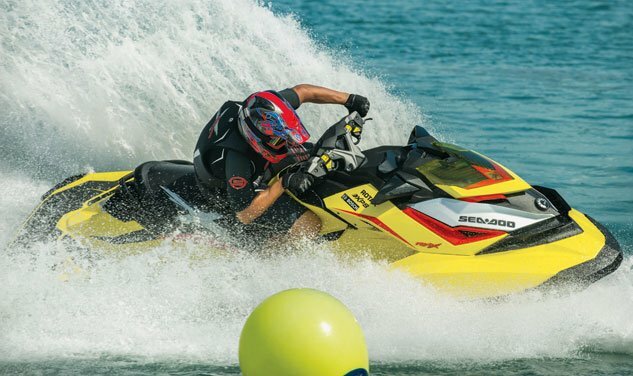 If you’re making a corner into a long straightaway, then trim to keep that bow down for the turn, then raise it as you enter the straightaway for maximum top speed.